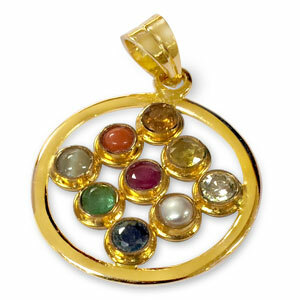 This locket is a special combination of all nine planetary gemstones known as Navratna Gems. 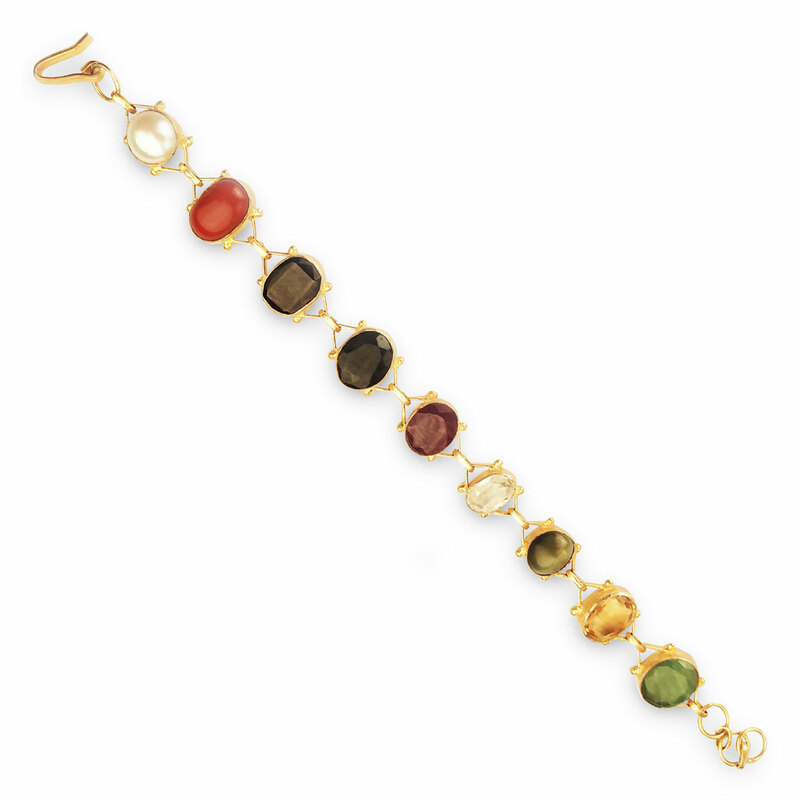 Navaratna is a Sanskrit word which means “nine gems” and is related to the nine planets. The word Nava means ‘nine’ and Ratna means ‘gem’. Each gemstone is related to one Graha among the Navgrahas. Navaratna gemstones are considered auspicious and believed to give good health, prosperity, happiness and peace of mind to those who wear it. It protects against negative energies or malefic effects of planets and strengthens the positive influences of the gems. It has the gemstone for the Sun in the center and other stone studded as Specific place (A Position of planets) around of ruby. 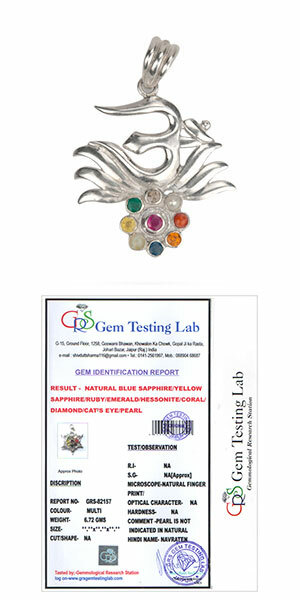 According to astrology Navaratna can be worn by anyone for general balancing of planetary influences. Some time when it becomes difficult to choose that which gem shall prove beneficial the navratna locket can be best answer for balancing planets, it give Best results to wearer. This locket removes bad effects of malefic planets and increases good effects of benefic planets in the horoscope. This is very useful in winning over enemies, gains in profession and over all prosperity. This also brings peace and harmony in the family. The navratna are widely regarded as being beneficial in all kinds of diseases, but especially those caused by contact with poisons. They are also a safeguard against misfortune, help ward off danger, and remove obstacles in life. Brahma Muraristripurantkari Bhaanuh Shashi Bhumisuto Budhashcha. Gurushcha Shukrah Shani Rahu Ketwah Sarvegraha Shantikaraa Bhavantu.